The 11-seeded Gonzaga men's hoops team took down 6-seed Seton Hall Thursday night in Denver, advancing to the second round for a matchup against the No. 3 seed Utah. The Zags, while sloppy at times, dominated for most of the night, particularly in a stretch to close out the first half that saw Seton Hall miss 15 shots in a row, giving Gonzaga a halftime cushion they never gave up. As usual, Domantas Sabonis dominated inside, dropping 21 points and collecting 16 rebounds. This is the eight straight year Gonzaga has moved on to the second round of March Madness. Saturday's game will tip off at 5:40 pm Pacific, or a half-hour after the Iowa State/Arkansas-Little Rock game ends. The women's team won its Women's NIT opening round Thursday night as well, taking down UC-Riverside. 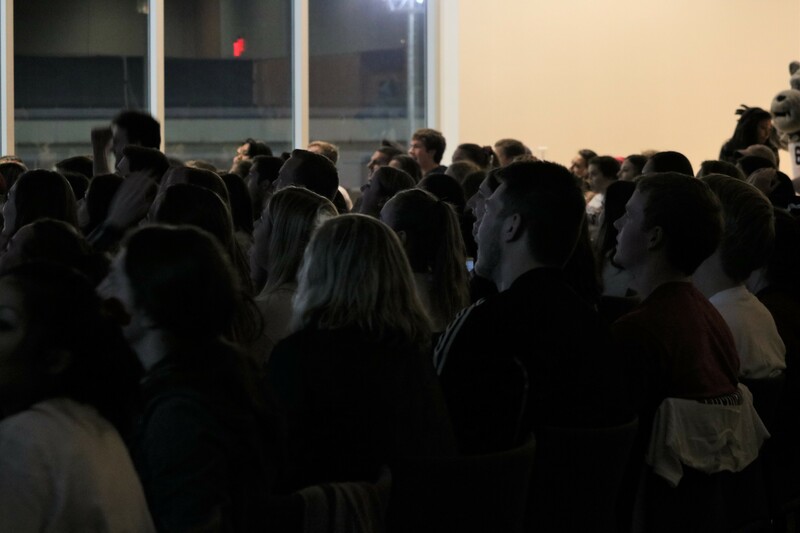 They'll play another home game on Monday against either Utah or Montana St.
Once it hit 8 pm on the third floor of Gonzaga's Hemmingson Center, you could feel the energy from two floors below. 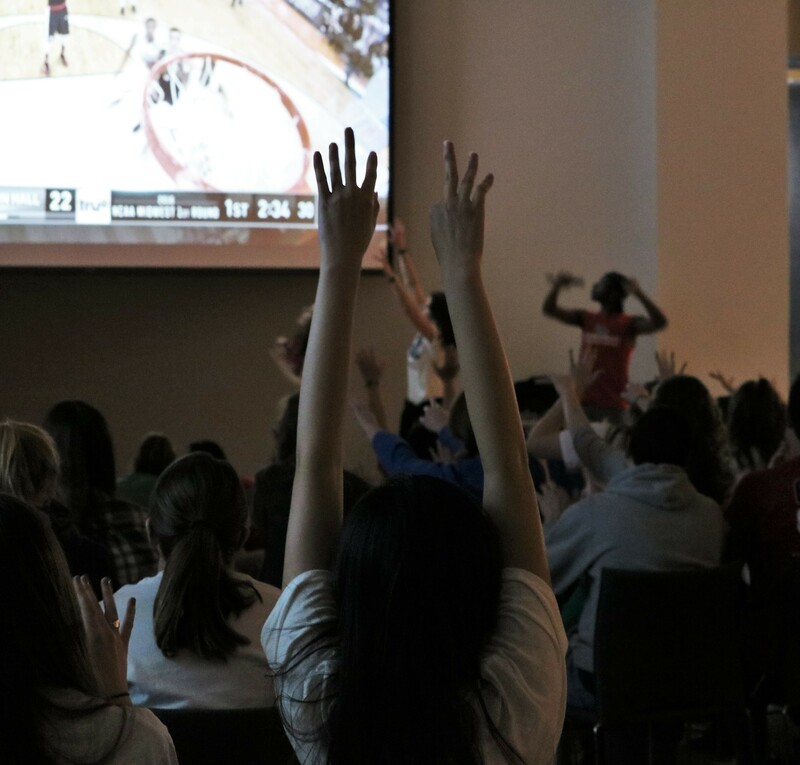 The viewing party for the Zags' NCAA tournament appearance was held in the Hemmingson Ballroom last night, and even though the Zags went head to head against Seton Hall 1,000 miles away in Denver, hundreds of Zag fans congregated on campus to support the men's team. 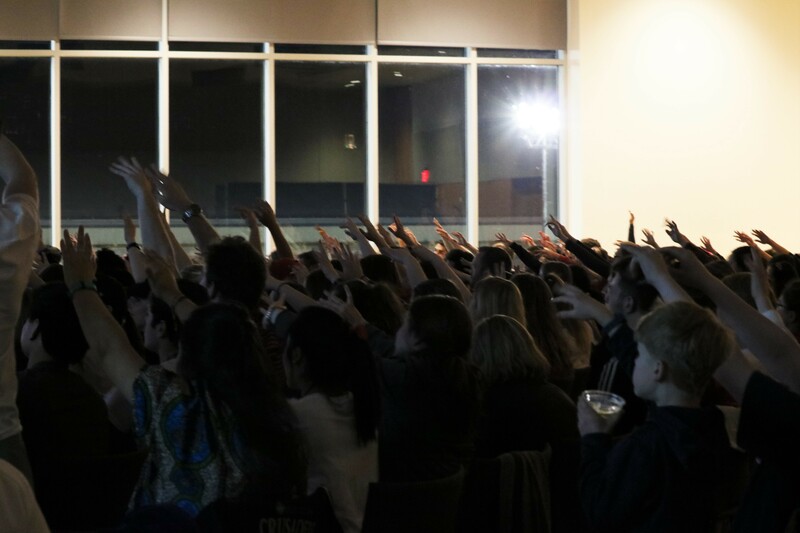 As the game raged on the big screens, screaming fans were offered pizza and beverages as they cheered their hearts out. 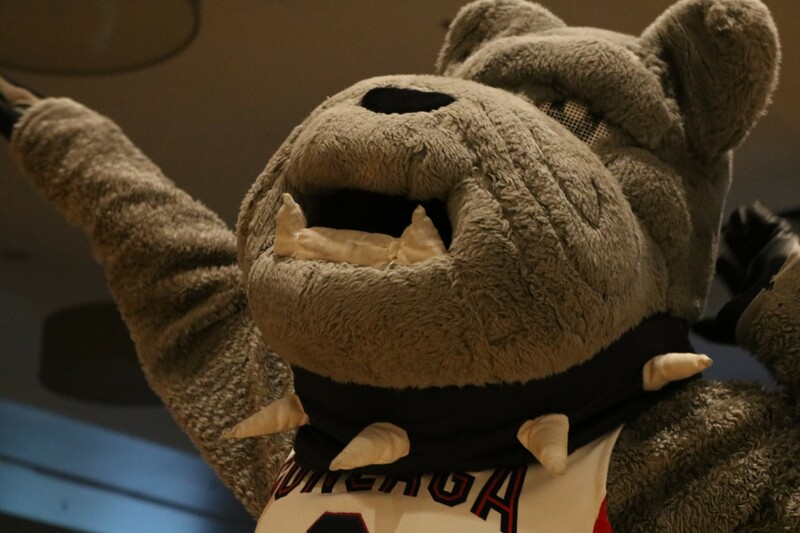 The Zag spirit was encouraged between time-outs with loud music and dancing, directed by members of the Kennel Club and — of course — Spike the Bulldog. But Denver wasn't the only place where basketball players were scoring points and shooting threes. 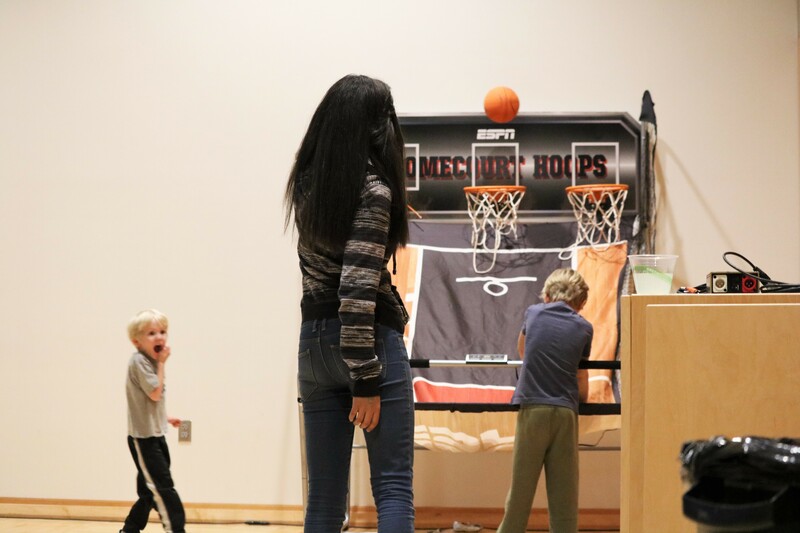 Multiple young basketball stars could be seen at the back of the ballroom during the game. 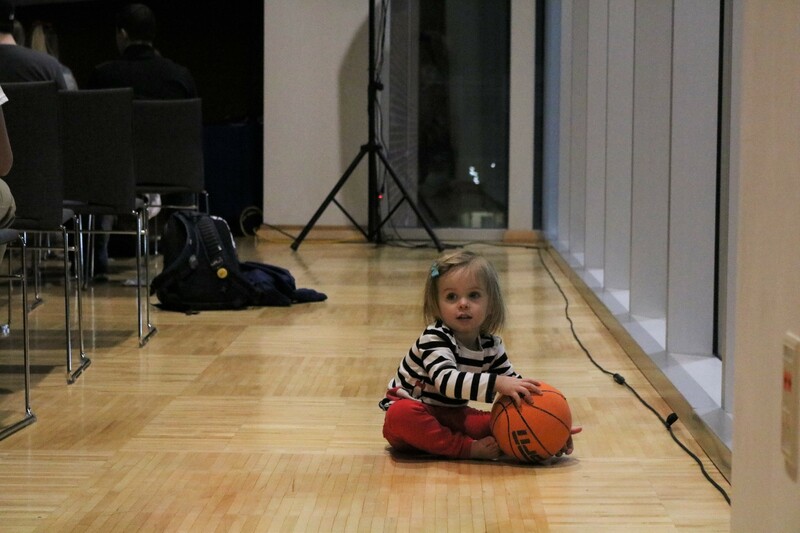 Even the littlest fans made it out to support the Zags. 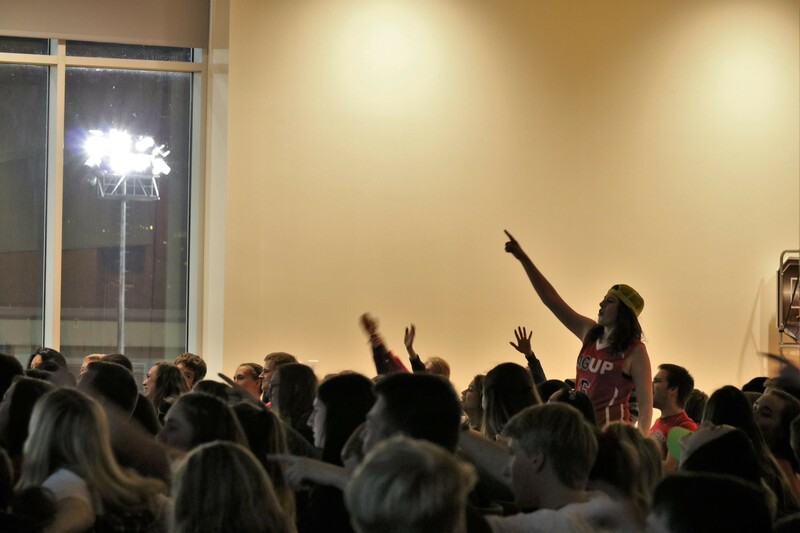 But as the game continued, the energy of the Kennel lived on in the crowd, engaging in game-time-favorites such as "the spirit fingers" for free throws, and defense cheers. By 10 pm, the Zags successfully took down Seton Hall as their first casualty in the tournament, and fans are hopeful the team will continue to advance.